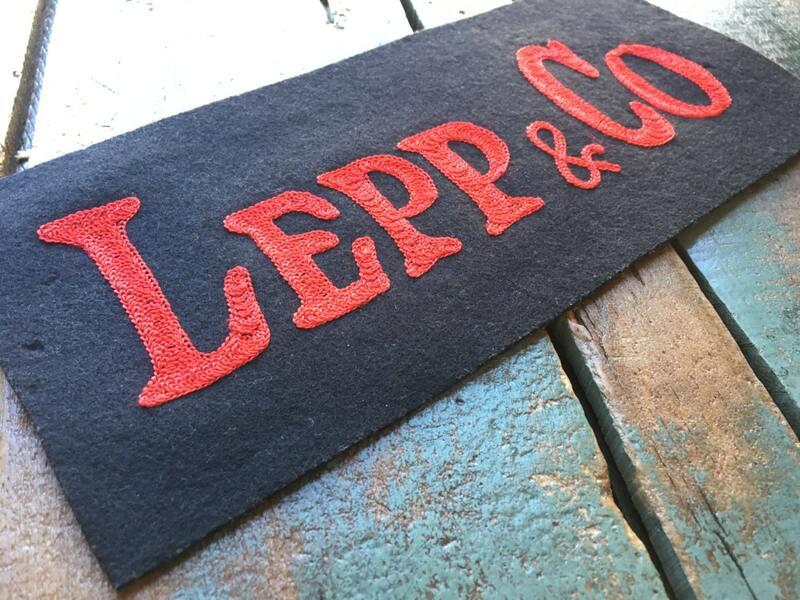 Large hand made jacket patch. 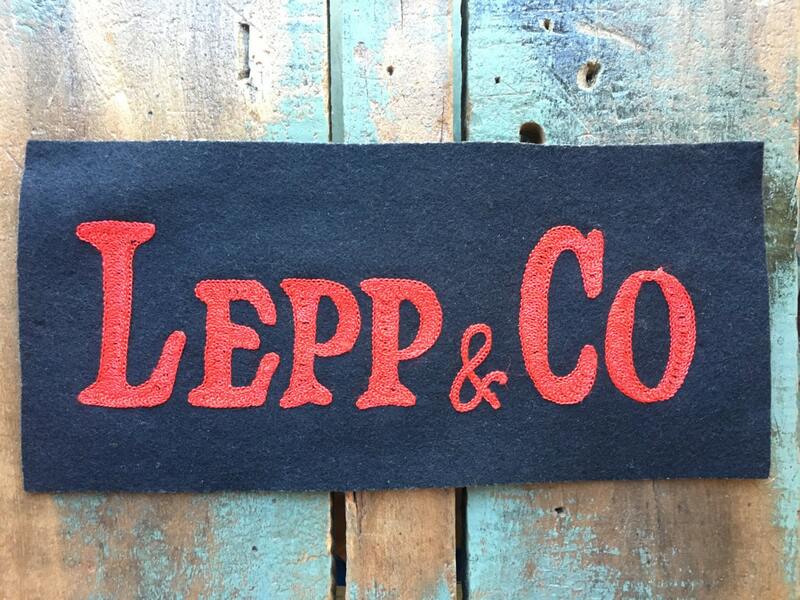 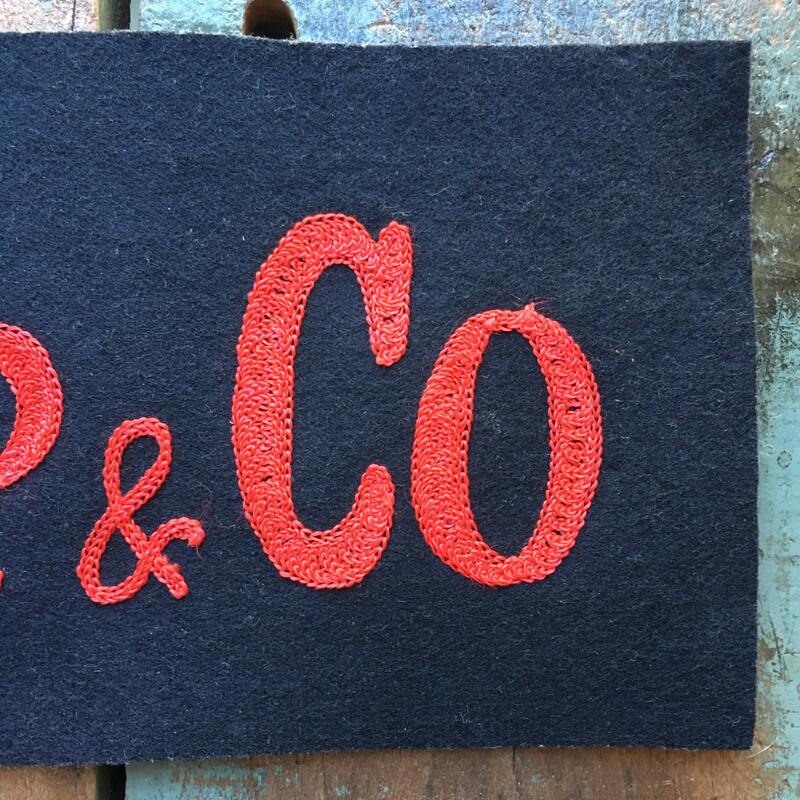 Thick felt, black and red "Lepp & Co" chain stitch. 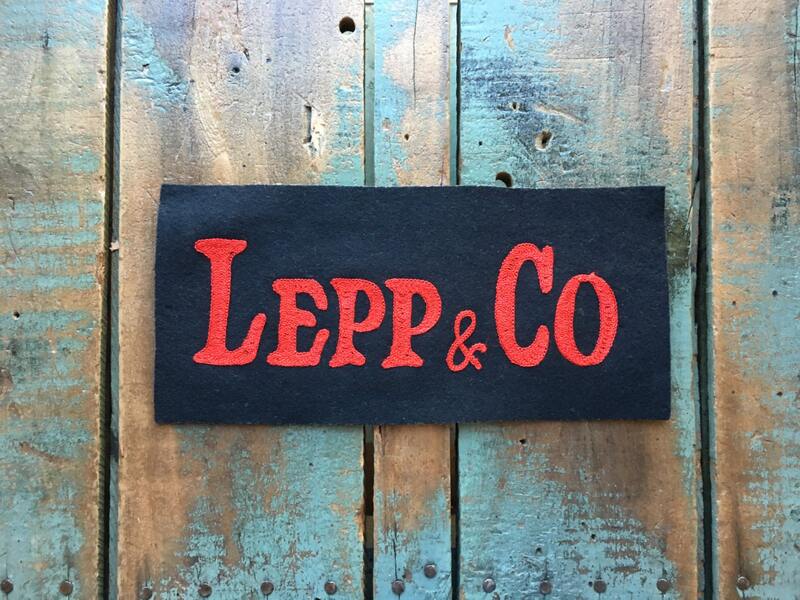 Lepp & Co was a Womans department store in Kenosha, founded in 1902. 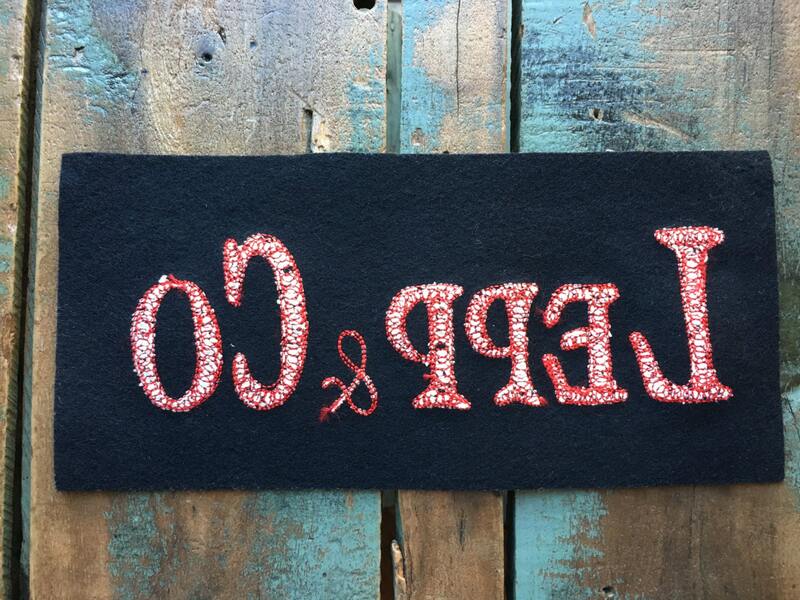 Stitch it or display it.